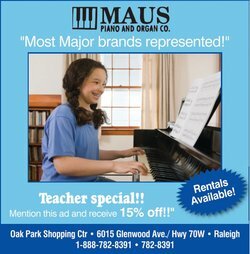 DMTA is a local chapter of the Music Teachers National Association, so to join our chapter you must join the MTNA and then choose Durham as your local chapter. The website is http://www.mtna.org/. You'll see several places where you can choose "Join MTNA". If you prefer to submit a paper application, you can do that as well, and the local dues are $25. If you do join, please email membership at the address below to ensure you are included on any future mailings or emails. There is a membership profile that each teacher completes on the DMTA website, which is a good source for teacher referral. Make Up Policies: What works? For our new teachers, or those interested in rounding out their studio, we offer a teacher referral service. Interested students may visit our website & complete a membership profile so the public can find you on our website! Kosempa Teacher Grant This grant is for independent music teachers who are DMTA members to use toward tuition, registration, travel, and other expenses towards a music project. DMTA maintains a seven foot single manual harpsichord available for workshops or performance. We also have an extensive multi-instrument music library! This voluntary event is a chance for you to perform with other area teachers. On the 3rd Saturday in May, we host our own Performance Festival. Students of all instruments (including ensembles, duets, and compositions) play for comments, ratings, and prizes. An Honors Recital takes place the following day. 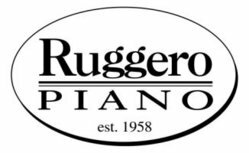 Piano students, age 12-14, perform a program of three pieces, including a composition by J.S. Bach and two more pieces from different stylistic periods. There are monetary awards for the 1st and 2nd place winners, and the best performance of a lyrical piece. The 1st place winner performs at the end of year Honors Recital.